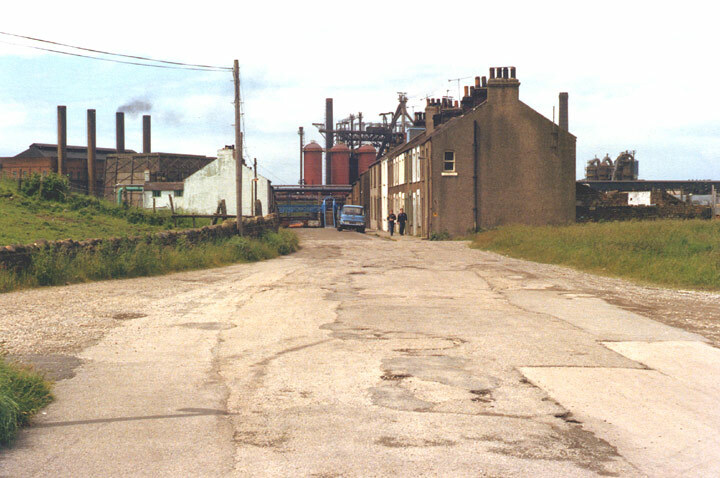 Derwent Crossings, looking towards the footbridge over the railway and the blast-furnaces beyond. The point at which the photograph was taken is about where the Moss-Bay by-pass (so-called "ring-road") goes. For those of you who have come to this page via the Defence Infrastructure pages, there was an Air-Raid Warden's post just to the left and slightly behind where this photo was taken.